We've seen our numbers increase [becuase] we are leveraging this asset to educate our clients. is NOT simply just to make money. Ask any of our podcasters. 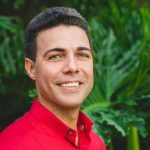 They started their businesses because they recognized a problem and saw an opportunity to create value and improve people’s lives by solving that problem. Money’s just the scoreboard. I mean, that’s you, too, right? educate, convince and, ultimately, serve your customers? your prospect’s minds, and reach them with relevant, valuable messages when they are ready to hear them. Brandon and Amanda’s business was changing. 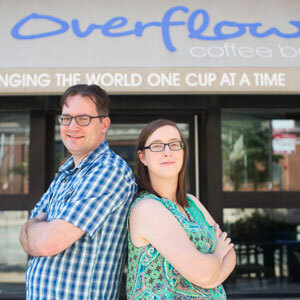 They sold their coffee shop and saw an opportunity to help people gain control of their finances using some of the wealth wisdom they had learned from a mentor while running their cafe. But Amanda was the one doing all of the audio recording and editing, writing show notes, adding the album art and uploading the show everywhere. She knew every second she spent doing that was a second too long spent away from their newborn son, who she had right after they sold their coffee business. She wasn’t willing to sacrifice that time with her son. So Brandon and Amanda reached out to The Podcast Factory. I think we've seen our numbers increase, not necessarily because iTunes is saying, ‘Oh, look at these guys,’ but we are leveraging that asset to educate our clients. So stop sacrificing your time and let us help! Book a call with us today. And if you’d like to hear more from our interview with Brandon and Amanda, click play on the player below.